Find affordable flights to New Zealand from Globehunters! Offering a varied selection of airlines to one of our closest but equally interesting and colourful neighbour, you can experience the breath-taking natural scenery Nee Zealand has to offer for as low as possible with Globehunters. Auckland Airport is New Zealand's busiest airport and only a 20 minute taxi journey from the city centre. Following a 3 hour plane journey from Sydney to Auckland, it's one the easiest and least expensive foreign holiday destinations from Australia. Not only do Globehunters have the best offers for flights to Auckland, we’ve got competitive and the best prices for hotels around the area too! 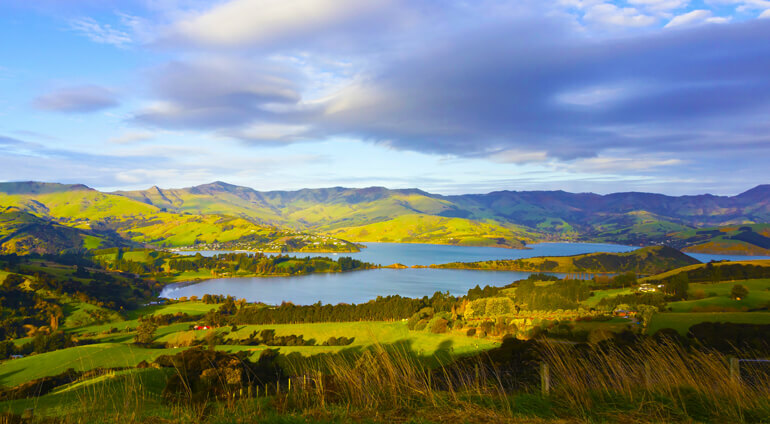 Christchurch and Wellington Airports are great alternative routes into New Zealand, both with excellent transport links to the cities and scenic views of these magical islands.